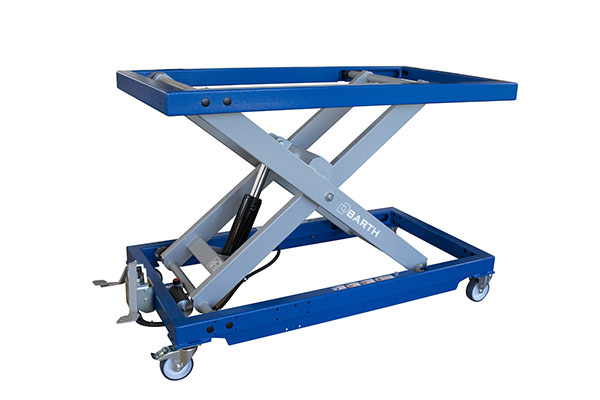 expandable on both sides by 550 mm. 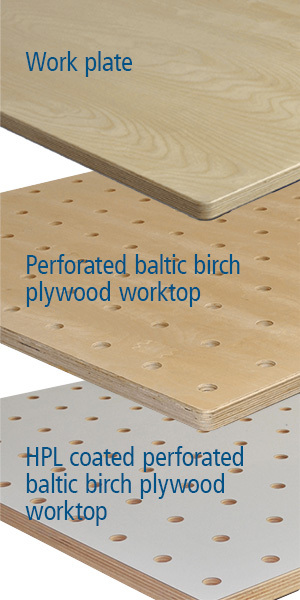 at the same time robust, abrasion-resistant and soil-protecting. 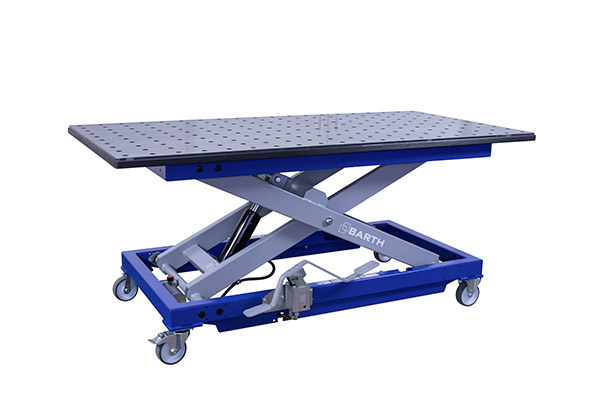 The work and lifting table 600 handle more weight without any problems. 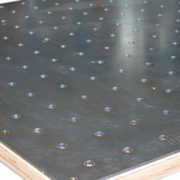 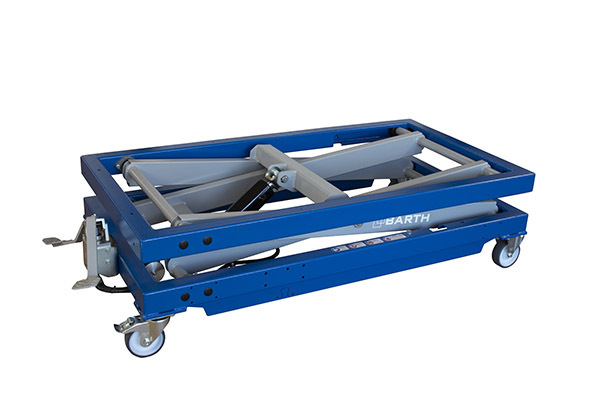 Workpieces up to a weight of 600 kg can be processed on it, lifted with it and transported. 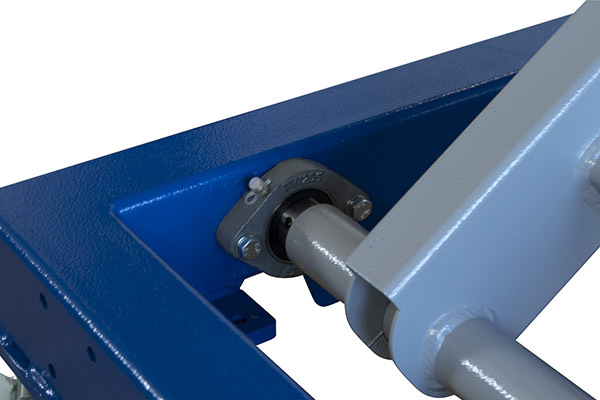 The scissor geometry optimized for maximum load in the uppermost position, the backlash-free scissor mount and the solid welded upper and lower frame guarantee high stability. 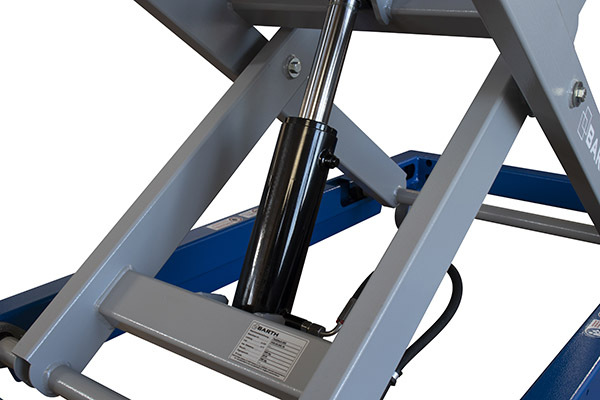 The height adjustment is carried out as standard via a 2-stage foot hydraulics in a range of 450 mm to 1,100 mm. 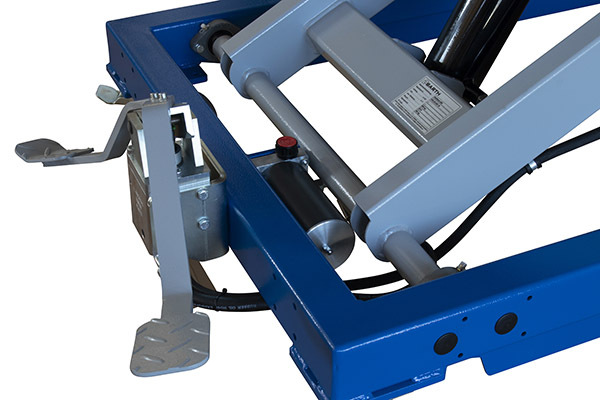 The foot hydraulics can be optionally mounted on the longitudinal or front side. 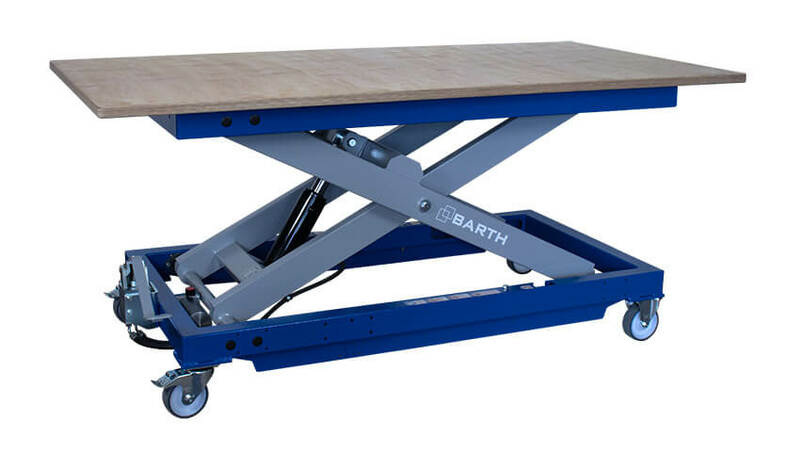 Optionally you can order the BARTH lifting table 600 with a perforated baltic birch plywood work top for the use of additional clamping tools or with a worktop. 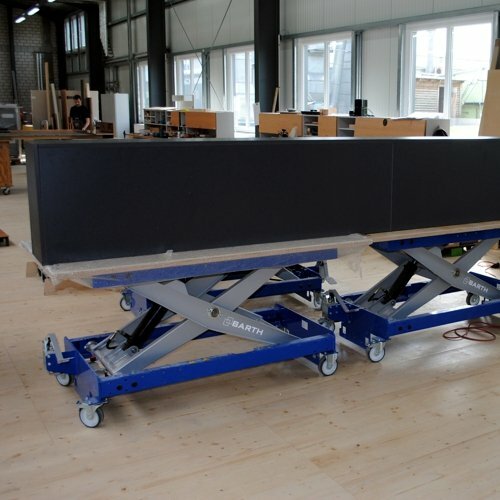 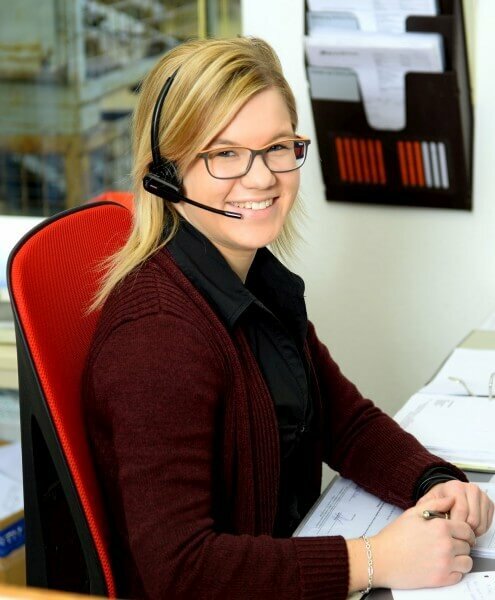 The worktop can be equipped with an additional longitudinal extension (maximum worktop size 3,000 x 1,100 mm) or worktop cross stiffening (maximum worktop size 2,200 x 1,700 mm). The BARTH lifting table 600 is also availible with eDrive or accuDRIVE. 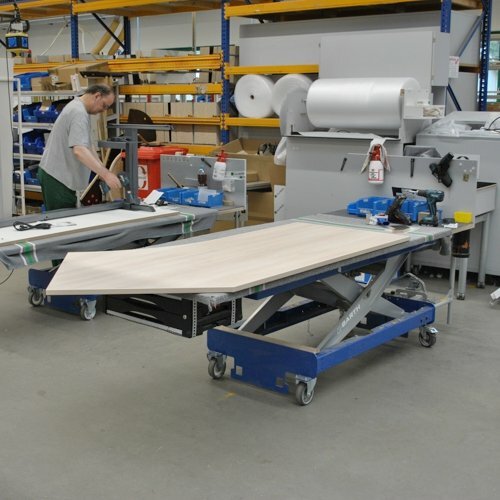 This basic equipment can be easily and very individually adapted with our accessories to your needs.